Just last month, the Marine Corps executed a carefully planned pullout from Sangin district in Afghanistan’s Helmand province, a region best known as one of the most deadly battlegrounds of the war. I was on the ground with some of the units for the final withdrawal. Less than two months on, the news out of Sangin isn’t good: AP reports that some 27 people, including five civilians, have been killed since Sunday, when the Taliban launched an attack on police checkpoints in the district, swarming the region with between 800 and 1,0o0 enemy fighters. The fighting has also spread the nearby Kajaki and Now Zad districts, a spokesman for the Afghan ministry of defense said. The good news, according to NATO officials, is that no checkpoints have been overrun so far in the fighting. 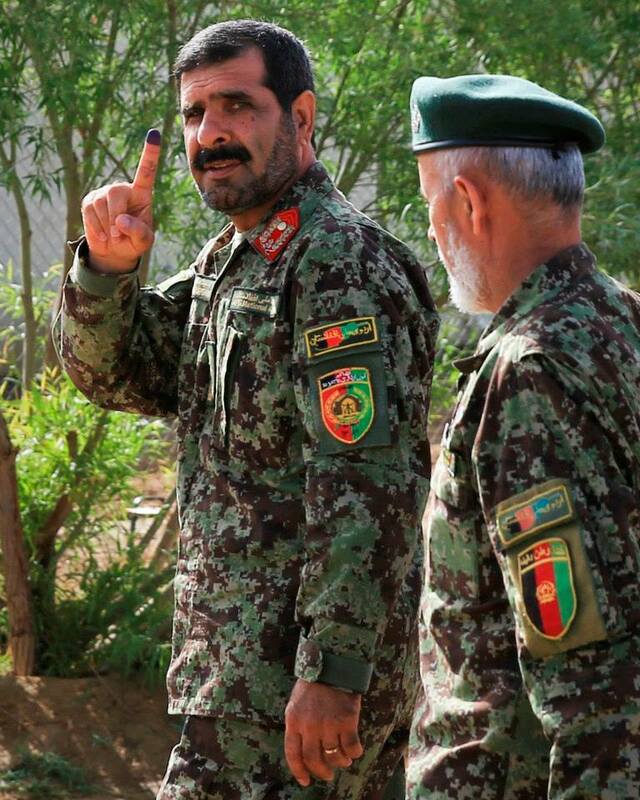 Amid the fray, the Afghan National Army’s 215th Corps–the unit responsible for all of Helmand province–fired off a statement from Corps commander Maj. Gen. Sayed Malouk declaring victory and saying the Taliban were on the run. The statement closes with a promise that “life will return to normal” with the Afghan National Security Forces in control. It’s hard to know exactly how to interpret this release. A BBC report from today quotes “local officials” saying more than 100 Taliban have been killed in the five days of fighting in Sangin, but acknowledges no independent confirmation exists for this figure. 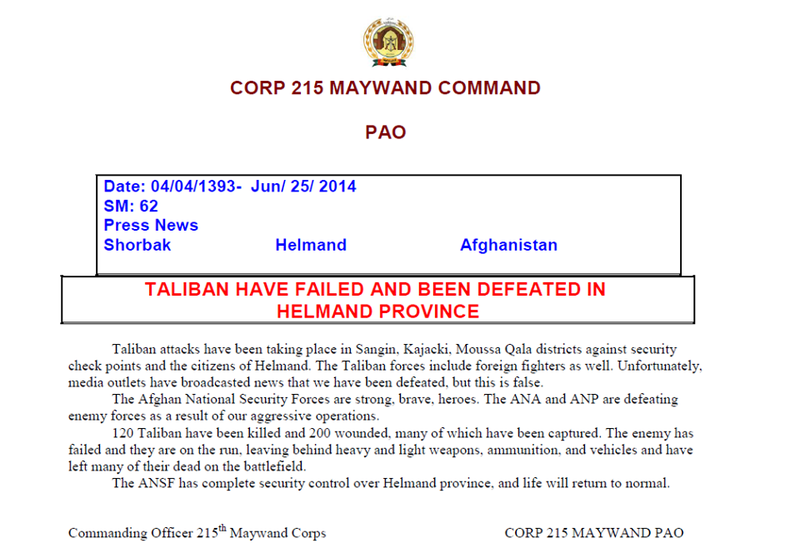 The statement from the 215th Corps also seems strangely optimistic given the reports from the ground in Sangin. That said, Afghan officials emphasized to Marine Corps Times the importance of a robust information campaign as an element of warfighting, noting that the Taliban have relied heavily on propaganda to maintain authority. To that end, the 215th Corps public affairs office set up a Facebook page, with the help of public affairs Marines aboard Camp Leatherneck, during the time I spent in Helmand. The reality of the situation in Sangin has yet to be made completely clear. But will life “return to normal” within the district in the near future? Consider me skeptical. Do you have a spam issue on this blog; I also am a blogger, and I was wondering your situation; we have created some nice methods and we are looking to trade methods with others, why not shoot me an e-mail if interested.